If you are looking for short trip mahabaleshwar Packages from Pune, KP Travels offer Best Pune to Mahableshwar Tour Package where you enjoy the journey while our chauffeurs ensure a comfortable travel experience for you. KP Travels is proud to present the most effective Pune to Mahabaleshwar Cab. It will offer you Pune to mahabaleshwar cabs that are safe, affordable and eco friendly. You can book cab in mins only, as we provide 24×7 customers support. Highly maintained cars are offered for Pune to Mahabaleshwar Taxi service with skilled and well-mannered driver, they are aware of all the roads and shortcuts. We offers wide variety of services for Pune to Mahabaleshwar Cabs like – Pune to Mahabaleshwar Cab, Pune to Mahabaleshwar Taxi, Mahabaleshwar Cab from Pune, Pune to Mahabaleshwar Cab Package, Mahabaleshwar Cab Packages from Pune, Pune Mahabaleshwar Cab, Pune to Mahabaleshwar Cab 1 day, Pune to Mahabaleshwar Cab Booking. 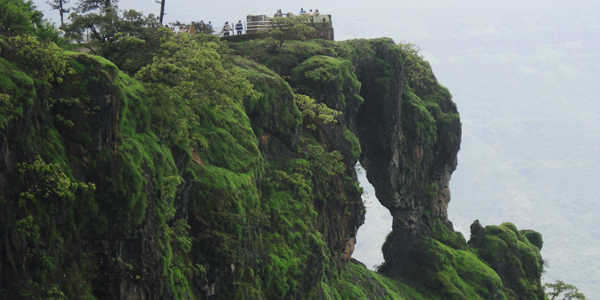 We provide instant confirmation and flexibility to book Pune to Mahabaleshwar Cab. We have various types of Car/Cab/Taxi Rental for Mahabaleshwar tour from Pune at affordable price. KP Travel’s service isn’t only offered from Pune city however additionally from Pune airport too! To make your Pune to Mahableshwar Trip more comfortable, you can have a pick from the wide range of cars available to perfectly suit your needs, requirements and budget. The cars are very well maintained and clean. KP Travels provides best,trusted and reliable services from Pune to Mahabaleshwar such as – Pune to Mahabaleshwar Tour Package, Pune to Mahabaleshwar Taxi, Pune to Mahabaleshwar Cab, Pune to Mahabaleshwar Car Rental, and Pune to Mahabaleshwar Car Hire. There are shared options are also available for Pune to Mahabaleshawar – Pune to Mahabaleshawar Shared Cab, Pune to Mahabaleshawar Shared Taxi, Pune Airport to Mahabaleshawar Shared Cab, Pune Airport to Mahabaleshawar Shared Taxi. 100% on time every time. No cab cancellation at any situation that’s our commitment. We run on single seat also. Passenger is GOD for us!